Servicing Kent County, DE and surrounding areas. Tuesdays are pinned down for tacos. Waffles get their due on Wednesdays. But as best I figure, Thursdays are up for grabs. Maybe it’s time to institute an Asian staple as a Thursday night dinner respite. Fact is, you can tempura just about anything. Though tempura is a name used to describe any batter-dipped and fried foods, certain dishes have their own nomenclature. Agedashi dofu is lightly fried tofu, Kara-age is Japanese fried chicken. The most common types of tempura found in Japanese restaurants focus around shrimp and vegetables though, as they cook in a snap. When Portuguese traders and settlers made their way along the spice road to Japan, they brought many culinary techniques and recipes with them. For example, they taught the Japanese a simple cake recipe called castella, now known as kasutera all across Japan. This sweet dense miracle is made with bread flour and is featured on just about every dessert buffet on the island. 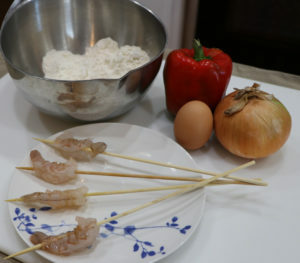 In addition, the Western travelers brought their fritter-frying technique abroad and into the Nagazaki region of Japan specifically, and the name tempura actually derives from a Latin word adapted to its new home. Prior to tempura, Japanese cooks breaded their fried items with rice flour or didn’t bread them at all. These new settlers, abiding by Catholic dietary restrictions, brought the technique of using flour, eggs, water and/or salt to batter their fried dishes. The name tempura is based on a Latin word for ‘time’ indicating it was time to serve this dish, according to their religious holiday schedule. Some cooks will batter their items then roll them in panko bread crumbs. While this isn’t the true tempura technique seen in Japan, it is a way to maximize visuals and the ever-important crunch factor. Japanese cooks actually separate panko-breaded items and call them ‘fry,’ pronounced furai. It’s a totally different entity and something you won’t see in a traditional tempura place overseas. Ensure your oil is the right temperature and that temperature is maintained throughout frying, as you’ll be doing it in batches. That 350°F oil is critical in ensuring you get even browning and don’t have the heavy, grease-laden batter that you probably associate with mediocre funnel cake. Also, ensure your ingredients are no thicker than 1”, especially dense items like root vegetables and meats. Cut meats into strips and vegetables into batons no longer than your thumb. Tempura is a one-to-two-bite food, perfect for little fingers and snacking. The most traditional sauce for dipping is 3 parts dashi (a fish broth made from dried kelp and bonito flakes), 1 part mirin (sweet rice seasoning) and 1 part shoyu (soy sauce). If you have seafood stock or broth, or can get some dashi, it makes a big difference in the taste of your sauce, so I suggest using it. So what do you think? 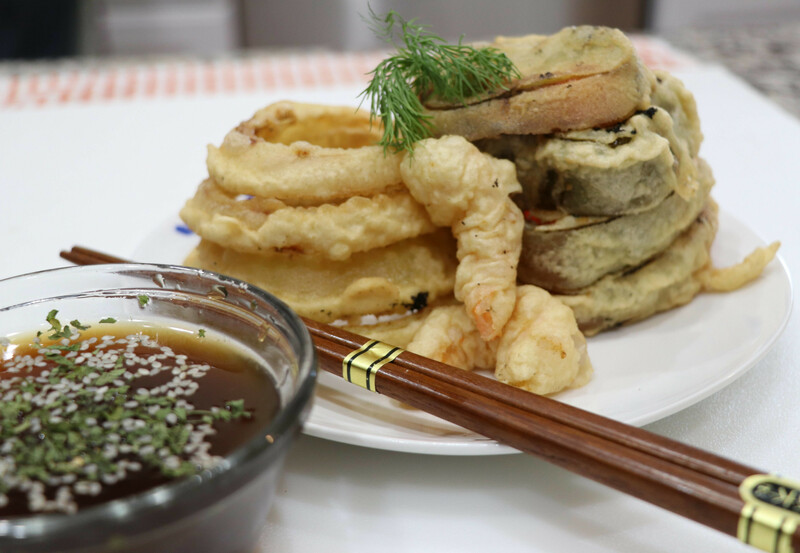 I think Tempura Thursdays could catch on, considering it’s a catch-all for anything in your fridge, and alongside a salad with ginger dressing and some soba, it’d be an awesome weeknight dinner. Give this recipe a shot and let me know if you’re on board. Watch Chef Jill make this recipe on YouTube. When you feel the urge to fry up a crispy dinner or side dish, use this super simple, pure Japanese batter method. 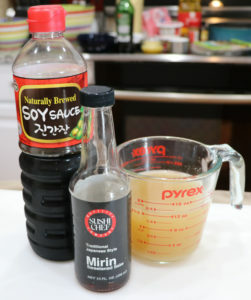 Prepare dipping sauce by combining soy sauce, mirin and stock. Set aside. Place 4” of vegetable or canola oil in a heavy saucepan. Bring oil to 350°F, using a deep frying thermometer to confirm. While oil is heating, ready your protein and vegetables. When ready to fry, add egg to a medium bowl. Beat very lightly. Add in 1 cup ice cold water (the colder the better) and stir gently with a fork or chopsticks. Add flour and gently stir with a fork or chopsticks, being careful not to overmix the batter. Dip your veggies and proteins in the batter, then fry until golden, about 3-5 minutes. Items will float as they near doneness. Allow to drain on paper towels or a rack before serving with sauce. 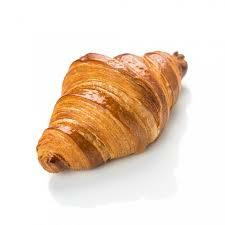 Calories = 293; Total Fat = 3g; Cholesterol = 93mg; Sodium = 1898mg; Total Carb = 54g; Fiber = 2g; Sugars = 3g; Protein = 11g. Make it Gluten Free by: substituting 1/2 cup potato starch and 1/2 cup rice flour for the all-purpose flour, and use Tamari (GF) soy sauce in place of standard soy sauce. What is your favorite thing to tempura fry? Tell me all about it in the comments!